Rejecting the charge as “innuendos and falsehoods”, Singh said he was deeply pained by the prime minister’s “ill thought transgression”. 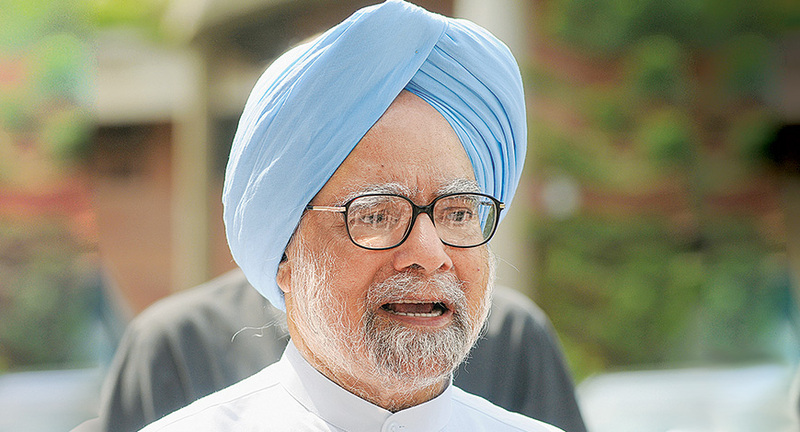 Former Prime Minister Manmohan Singh today asked Prime Minister Narendra Modi to apologise to the nation for alleging that he was conspiring with Pakistan for the Bharatiya Janata Party’s defeat in the Gujarat polls. Addressing an election rally in Palanpur, Gujarat yesterday, Modi suggested that Pakistan was trying to influence the assembly polls in the state. He claimed that some Pakistani officials and Manmohan Singh met at Congress leader Mani Shankar Aiyar’s house over dinner on December 6. This was a day before Aiyar’s “neech” jibe against Modi. Singh issued a statement today, listing those who attended the dinner, and stressed that the election was not discussed during the meeting. “I reject the innuendos and falsehoods as I did not discuss Gujarat elections with anyone else at the dinner hosted by Mani Shankar Aiyar as alleged by Modi. I sincerely hope that he will apologise to the nation for his ill thought transgression to restore the dignity of the office he occupies,” Singh said in the statement. I am deeply pained and anguished by the falsehood and canards being spread to score political points in a lost cause by none less than Prime Minister, Sh. Narender Modi. Fearing imminent defeat in Gujarat, desperation of Prime Minister to hurl every abuse and latch on to every straw is palpable. Sadly & regrettably, Sh. Modi is setting a dangerous precedent by his insatiable desire to tarnish every constitutional office, including that of a Former Prime Minister and Army Chief. The Congress Party needs no sermons on “Nationalism” from a party and Prime Minister, whose compromised track record on fighting terrorism is well known. Let me remind Sh. Narender Modi that he had gone to Pakistan uninvited after the terrorist attacks in Udhampur and Gurdaspur. Let him also tell the country the reason for inviting the infamous ISI of Pakistan to our strategic Air Base in Pathankot to investigate a terror attack that emanated from Pakistan. My track record of public service to the country over last five decades is known to everyone. No one, including Sh. Modi, can lamely question it to gain lost political ground. I reject the innuendos and falsehoods as I did not discuss Gujarat elections with anyone else at the dinner hosted by Shri Mani Shankar Aiyar as alleged by Shri Modi. Nor was the Gujarat issue raised by anyone else present at the dinner. The discussion was confined to India-Pakistan relations. Names of the distinguished Indian public servants and journalists present at the dinner are enclosed to this statement. None of them could be accused of indulging in any anti-national activities. I sincerely hope that Prime Minister will show the maturity and gravitas expected of the high office he holds instead of concentrating his energy solely on erroneously conceived brownie points. I sincerely hope that he will apologize to the Nation for his ill thought transgression to restore the dignity of the office he occupies. This guy is stooping to new lows every passing day..